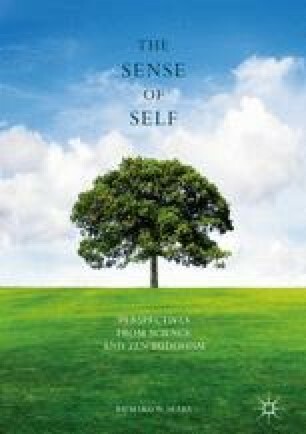 In this chapter, we will discuss the concept of self as developed in Zen and other Eastern wisdom traditions, which have a long history of exploring how the sense of self is constructed and maintained. The Eastern wisdom traditions include Buddhism, Taoism, and Hinduism. This chapter will mostly focus on Zen and other forms of Buddhism, including Theravada, Mahayana, and the “secret paths” of Tibetan and Japanese Vajrayana.